PARIS — France and Italy have signed a cooperation agreement on development of the MBDA Aster Block 1 New Technology missile, the French Defence Ministry said in a statement. French Defence Minister Jean-Yves Le Drian and his Italian counterpart, Roberta Pinotti, signed the agreement June 14 in Paris. 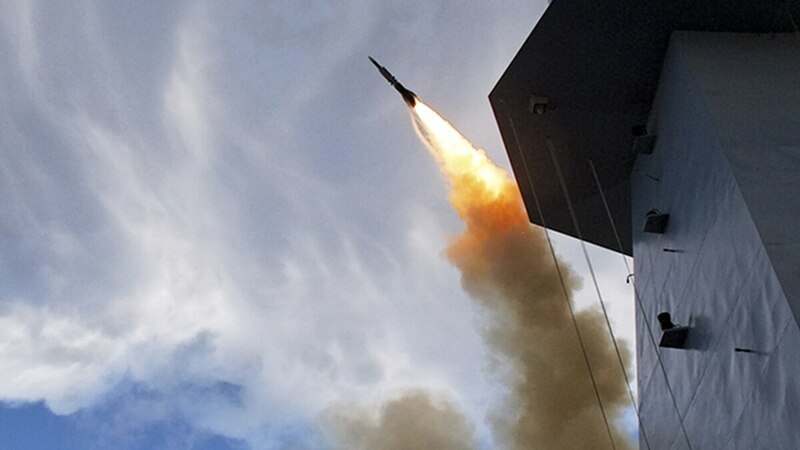 The program aims to extend the Aster 30's range to hit incoming ballistic missiles, one of Europe's contributions to NATO's program for an anti-ballistic missile shield. "This decision reflects a shared determination to maintain the capabilities of the ground-based air defense system to the highest requirements and its Aster missile to respond to a full range of airborne threats," the ministry said. The memorandum of understanding for cooperation boosts industrial cooperation between MBDA and Thales — partners in the Eurosam joint venture, which builds the missile system — and also strengthens export prospects, the ministry said. Poland and Turkey are among the export prospects for the Aster missile. The two companies said in separate statements they welcomed the announcement. "The two countries, which have carried out this program for many years, have just laid out a robust route map that will see the Aster program well into the next decade, which will help to sustain industrial know-how for many years to come, and which is key to ensuring French and Italian sovereignty," said Antoine Bouvier, MBDA chief executive. "Thales will deliver, in cooperation with the Italian industry, a new version of the fire control function and will develop a new missile seeker," according to the French electronics company. The upgrade work involves an "evolution" in the missile's electronics and adaptation of the ground-based system for the new missile, which will be delivered in 2023, MBDA said. Britain said at the Anglo-French summit in March at Amiens, northern France, that London would consider arming its destroyers with the new Aster version. The French Direction Générale de l'Armement procurement office will work with its Italian counterpart, Segredifesa, and Organisation Conjointe de Coopération en matière d'Armement, the European acquisition agency. Italy's defense procurement spending in 2016 set aside €15 million (US $17 million) for upgrading the Aster 30 weapon with France, with Rome's eventual contribution set at €237.4 million. The New Technology upgrade would allow the Aster 30 to hit enemy missiles with a range of 1,000 kilometers. The Block 1 model held by the French and Italian forces can intercept incoming missiles with a range of 600 kilometers, such as the Scud B. An upgraded version is on the road map for building an Aster Block 2, which would intercept weapons that have a range of 3,000 kilometers.